My wife and I love making “panini” sandwiches at home, even though we don’t have a panini press. We’ll experiment with ingredients, then cook that sandwich up beautifully. 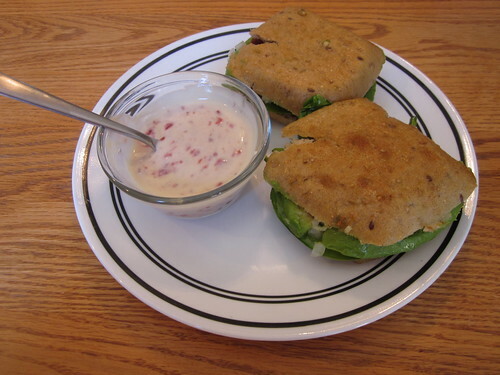 This exact panini recipe is based on one from the July/August 2011 issue of Vegetarian Times, with a few twists of our own devising. All you need are some vegetables and some bread. You’ll also need just a tiny bit of olive oil. As always, prep the vegetables. 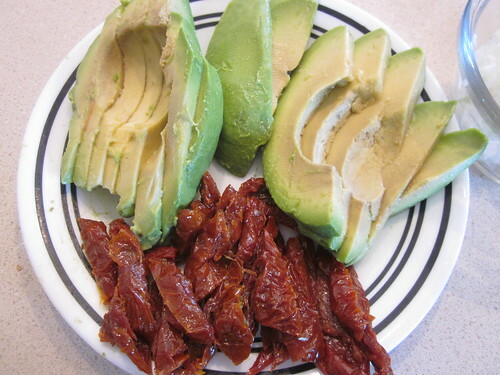 Slice the avocados and the onions and even the sun-dried tomatoes if need be. 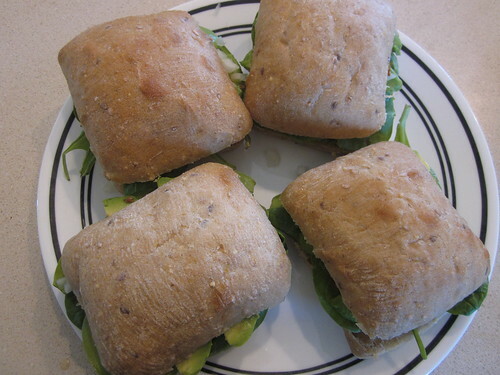 You’re essentially making a sandwich here, so slice the ciabatta rolls in half (if you haven’t already). You’ll then want to put just a bit of olive oil on the tops and bottoms of the sandwiches – the parts that will be exposed to the panini press (or to the alternate solution we describe below). 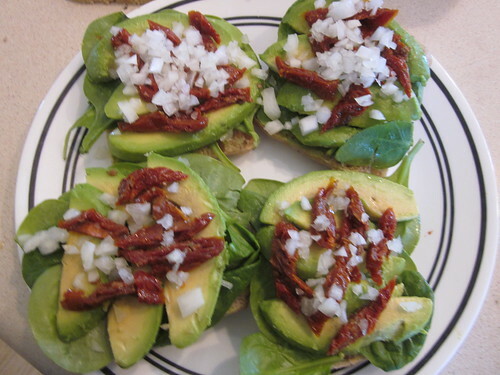 Then, layer the avocado, tomato, onion, and spinach on each of the rolls, then complete the sandwiches. 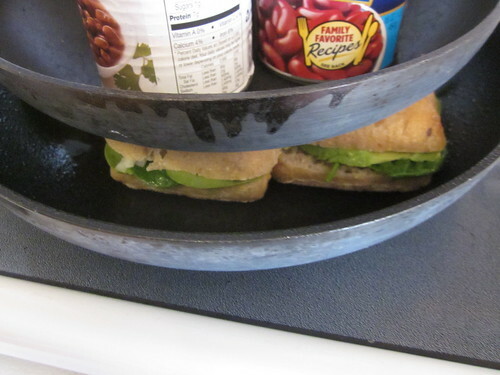 If you don’t have a panini press, get out two skillets and a few heavy canned goods. Lay the paninis in one of the skillets over medium heat, then put the other skillet on top of the sandwiches. Put some weight into the top skillet, which will press down on the sandwiches. Cook for two minutes, then remove the heavy top skillet and flip the sandwiches. Replace the weight and cook for two minutes more. Since we like ours well done, we flipped the sandwiches again, placed the weight back on, and cooked for two more minutes. We served ours with homemade yogurt on the side. To give it a bit of a sweet flavor, we added a spoonful of strawberry jelly to the homemade yogurt and stirred it up until the jelly broke down into small specks and the yogurt took on a pink hue. Paninis are incredibly flexible: all you do is add the ingredients you want. Meats, cheeses, vegetables, condiments, breads – just make it how you like it, then press it while you cook it. It’ll be delicious.